ROAD TOWN, Tortola, VI – Despite being banned from performing in Canada, the United States and many countries in Europe because of lyrics against homosexuals in some of his songs, Miguel Orlando Collins aka “Sizzla Kalongi” has been listed by the Virgin Islands Festival and Fairs Committee (VIF&FC) as one of the main international artists for Emancipation Festival 2016. The list of artists was released today July 13, 2016 by the VIF&FC. Sizzla, who at one time was banned from performing in 29 European countries, will feature on stage at the Rita Francis Festiville in Road Town on Friday July 29, 2016, alongside the popular dancehall and fellow Jamaican artiste, Beenie Man. Final Faze, Showtime Band and a list of local artistes will also be part of the entertainment on the same night. Already this news site has been bombarded with calls from several persons in senior government positions, and the business and religious communities about whether the committee made a good choice in opting to include Sizzla in the lineup for Emancipation Festival 2016. Other international artists named by the VIF&FC are Destra and the Bakanal Band, Bunji Garlin and Fayann Lyons. Artistes for Carrot Bay and East End festivals are yet to be released by the committee. “What I want to know is if the committee has taken the necessary steps in screening which and which artists they are bringing here. What would this man be singing? Will his lyrics offend our tourists and the many locals we have here that are gays, both men and women?” questioned Pamela Waldron, who said she is of the Christian denomination. Others, who have objections and questions about the controversial artist, declined to be quoted and/or named, but according to Ms Waldron, the festival committee must be made to answer to its selection. “We are a tourist destination and we welcome Gays and Straights evenly. We have no bias, so we don’t want no artist coming up here to go on our festival stage to ‘Bun b**ty boy/the gays dem’,” she said. According to research, Sizzla is a “die hearted” Rastafarian and also a member of the Bobo Shanti Rastafarian Movement. "Black Woman and Child" remains one of his most popular songs and albums. Locally and Internationally, Sizzla is one of the most sought after artists in the business, having done work with "VP Records", "Greensleeves" and "Zagalou Label", but he is now working with his own label "Kalonji Records". After building his state of the art recording studio in August Town, Jamaica, Sizzla is now an icon in the community because of the contributions he has made and work done with youngsters in the area. Sizzla Kalonji has been questioned by law enforcement officers in the past about crimes committed in Jamaica; however, he has never being charged for any wrongdoing. He is known to be strongly against the "Gay rights movement" and stated he had no apologies for his stance in his song "Nah Apologise". 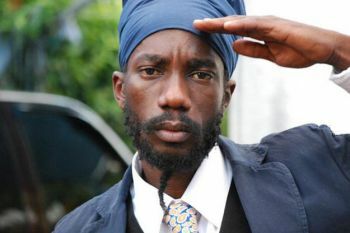 Sizzla was banned from performing at a major music festival in his own country of Jamaica in 2014 after he included an extended anti-gay rhyme during his performance at the festival on December 26, 2013. The popular artist devoted more than a minute of his set during the 2013 Sting festival to attacking LGBT people. The annual festival was broadcast from Kingston to an estimated audience of 315 million people on five continents, according to organisers. 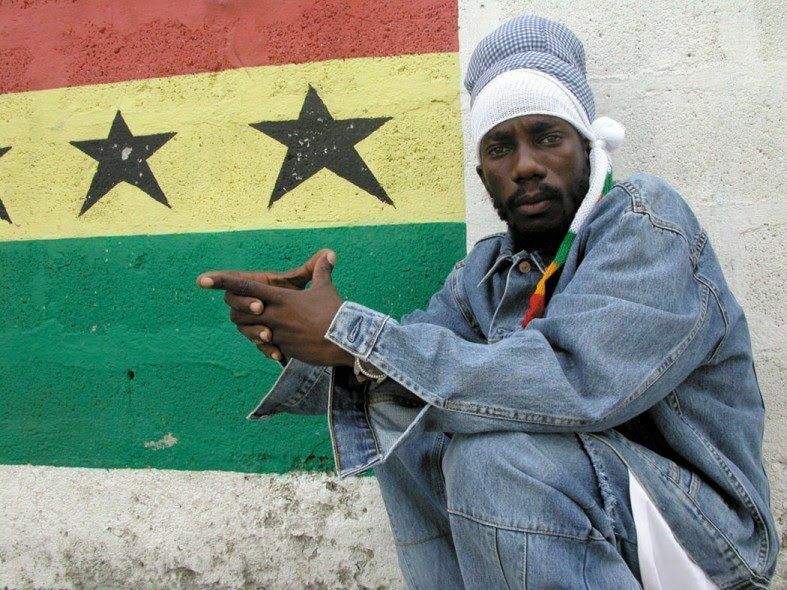 Sizzla has long been criticised for his anti-gay lyrics, which are common in the music of many popular dancehall performers. 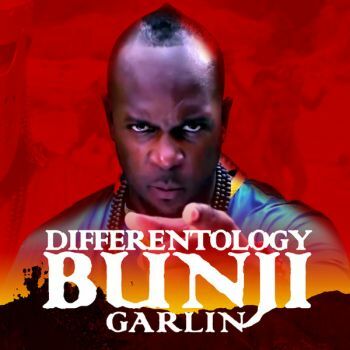 He was one of the targets of the Stop Murder Music campaign launched by LGBT activists in North America and Europe in the mid-2000s in an effort to block foreign performances of Jamaican musicians whom the activists said incited hate crimes. Efforts to get a comment from the VIF&FC on the selection of artistes were not received up to time of publication. So let me get this straight...the SO CALLLED CHRISTIAN COMMUNITY don't like gays but this news site were BOMBARDED by calls from same said community about and artist THAT ACTUALLY BURNS OUT THAT LIFESTYLE? Ummm WE DON'T BELIEVE YOU YOU NEED MORE PEOPLE. Should SIZZLA be banned in the BVI for his controversial songs hating on homosexuals?..? click 'like' for "YES and 'Dislike' for "NO"
Move your desperate likes looking @$$. Mrs. Waldon need to leave the church if she helping gays fireee !!!!!!!!!! Sizzla is a good artist for BVI festival. He will pull a large turn out. Why she don't stay in church from talking b**lsh*t. Does she question anything her Pastors do behind the church walls? Sick of them holier than thou sick $%^&. Try leh we do dis ting ....Jah Cure! Sizzla was here few years go and did a nice job and he didn't mention anything about gays. Yes he have his history of being raw, out he can still hold a full fun show without mentions of gays. Ooce the festival Committee tell him do and donts Sizzla will follow. Can't keep a good man down!! Any church members that side gays against The Most High God, the law of Moses and the christ who said he came to fulfill all moses laws that came from God, and it clearly stated in Leviticus 20verse 13 where God is strictly against gays period. The only controversial person in that lineup is Beenie Man. The man got hours of hits but all he does do is hit the stage, jump for 10 seconds and then pull up and chat frought. Did it over Music fest. Did it Village the year after. Waste of money, don't put on no show and treat the place with respect. Thank god the night he was down Music fest Jr Gong wake everybody back up. Why not work om getting him here again? She sound so silly its more like she don't know her bubble or I guess she is one that worship pastor and the father in heaven .am with sizzla one hundred percent . Nice line up. The ting tun up!!!! Good job VIF&FC, the village will be mass! Them so call playing Christian when they say u have to legalise the shi? thing in the BVI all r u @$4 was Quiet if your @$4 it so call Christian take Ru @$4 in Church when Sizzla singing and pray for the none Christians for who think they can fool the public in the open and hating their fellormen Jah is the Judge who want to go church will go church and who want to go dance will go stop trying to make desigions for people like u all alone have sense. It comes down the the same slavery mentality ru want the determine what man whould do to sooth u all. @Island girl, I feel you. They holy on Sunday and Devil on Sunday when they step out of the Church. I'll admit, I don't go to church but, I am more holy and have god in my heart than most of these people who go to church. I have a neighbor who goes to church every Sunday always playing gospel music, say she is a woman of God girlll, the things I see this woman do and say will make your head spin. These churches and so call Christians got the world like this... Restrict their message to a building, ignore injustice once it doesn't affect them, focus on collecting as much money as possible...Leave us alone... Try preach to our government that doing us So much wrong, try get them to change,.. Check urself...Leave us alone let us enjoy our lives. 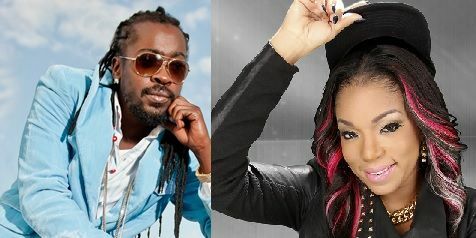 They need to let Beenie man stsy home anf give Zissla two spots. Hope they are not paying Beenie man no heep of Money .. I see Beenie man like 15 times From New York, to Tortola, to St. Kitts, Never enjoy him. An artist I always enjoy is Wycliff John. What happen to him? Why do we pluck up the scrap that other countries deny entry? That is why this territory is going to the dogs. The government is to be blamed for that. We do not want anymore of such in our country. Immigration officers must turn them back and let them go to their own country. Most mainstream rappers nowadays promove gang violence, Killing, Selling/doing drugs and degrade women with a passion. but their are not banned for that. in fact, they are rewarded with 24/7 radio exposure. Speak for yourself lady...somehow I doubt she's even a real Christian..